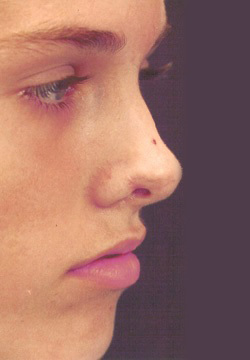 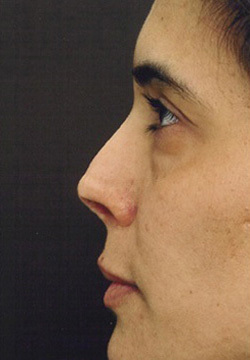 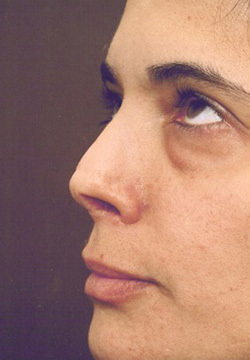 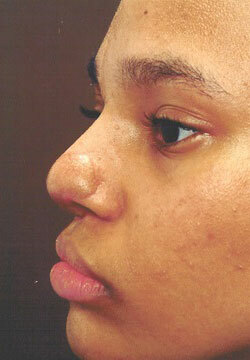 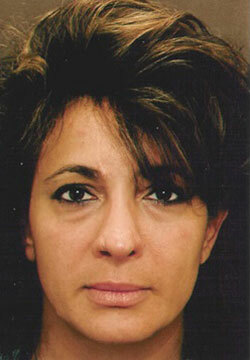 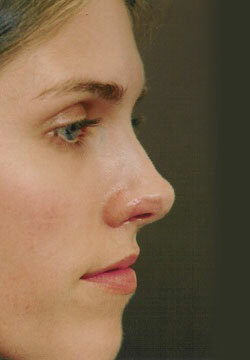 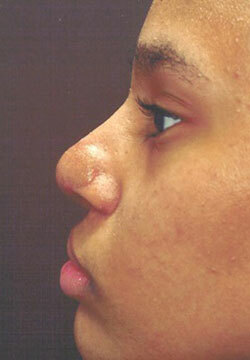 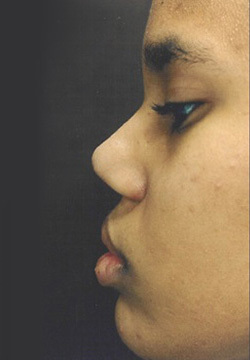 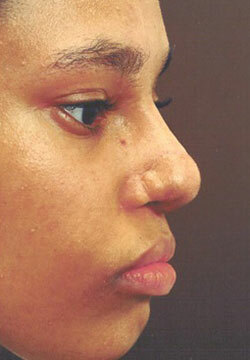 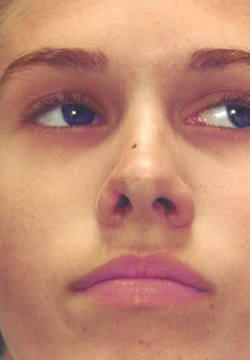 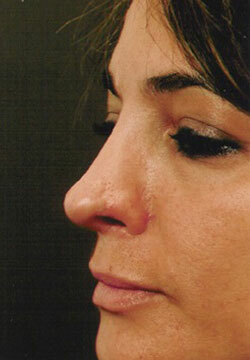 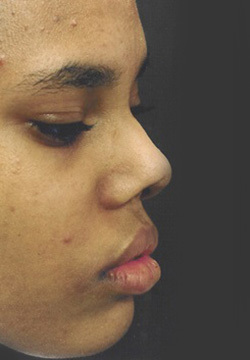 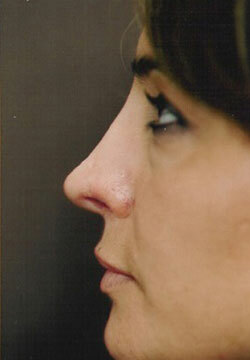 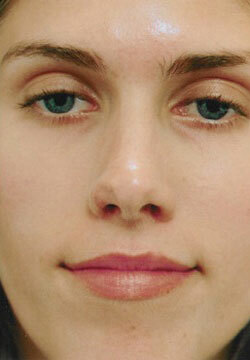 This patient had had at least fifteen rhinoplasties that had destroyed skin and lining. 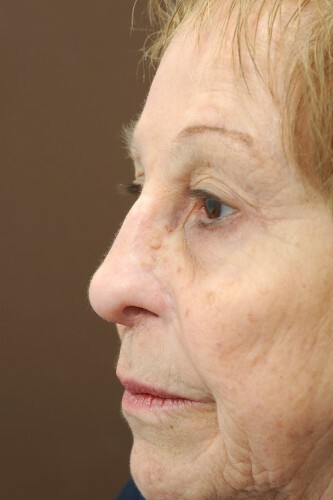 Her airways and external nose were rebuilt using rib cartilage and a staged forehead flap reconstruction. 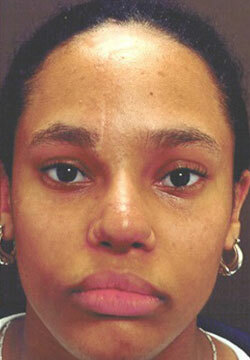 This patient was born as a tiny premature infant. 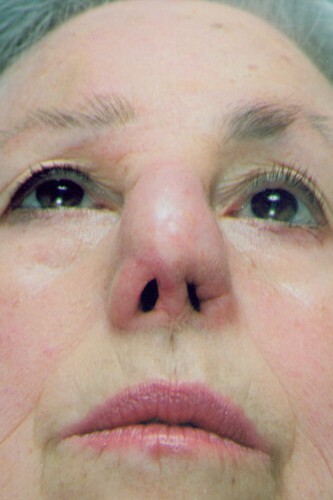 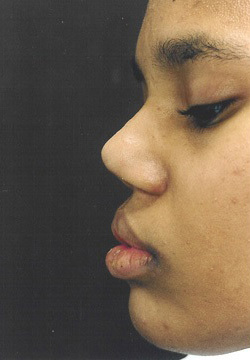 The feeding tube used to nourish her destroyed the lower nose; prior reconstructive attempts elsewhere had been unsuccessful. 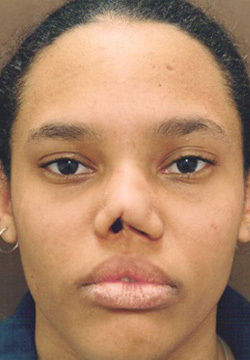 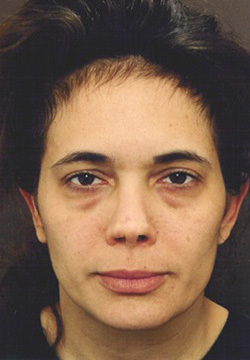 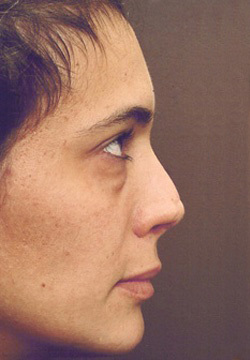 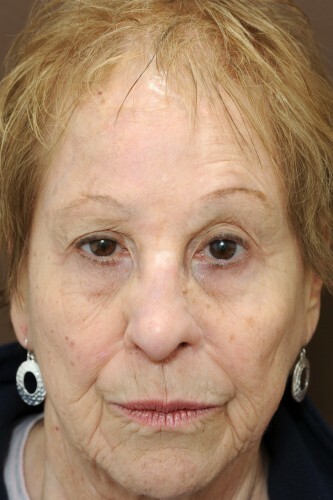 Using rib cartilage and a staged forehead flap reconstruction, her nose was rebuilt. 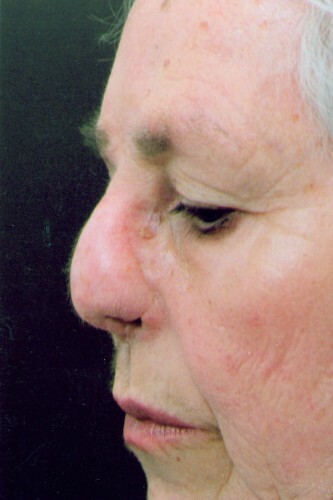 This patient suffered a dog bite as a child that damaged part of her nose. 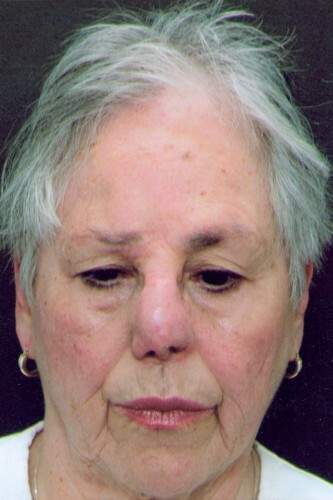 Reconstruction was performed with ear cartilage and skin and scar revisions. 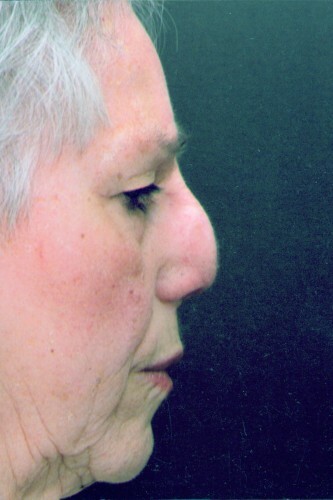 This patient sustained a severe injury that destroyed the lower half of her nose and that had been unsuccessfully repaired years ago with a forehead flap. 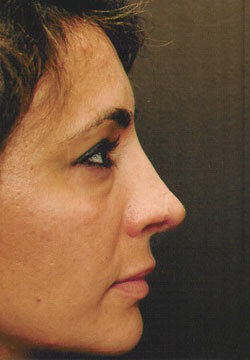 There was a significant surgical challenge because so much of the nose was missing. 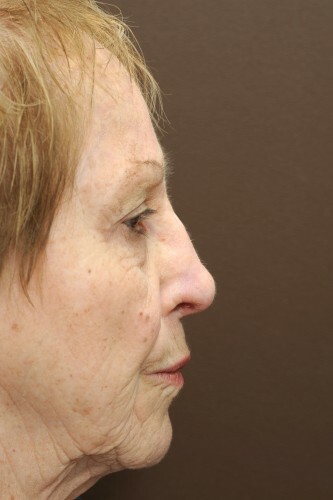 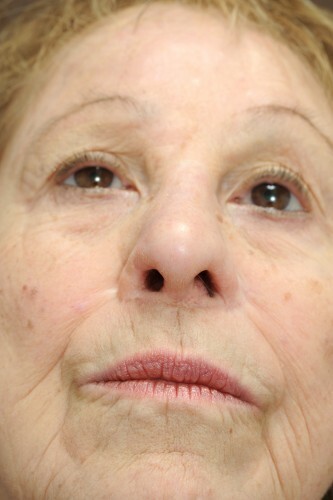 With a second, staged forehead flap transfer, local flaps to open her nostrils, and rib cartilage to create shape, the nose was rebuilt to simulate normal contours and a fully functional airway, something the patient had not had for 30 years.